It was incredibly easy to execute the transfer – and there were no “wire” fees involved. 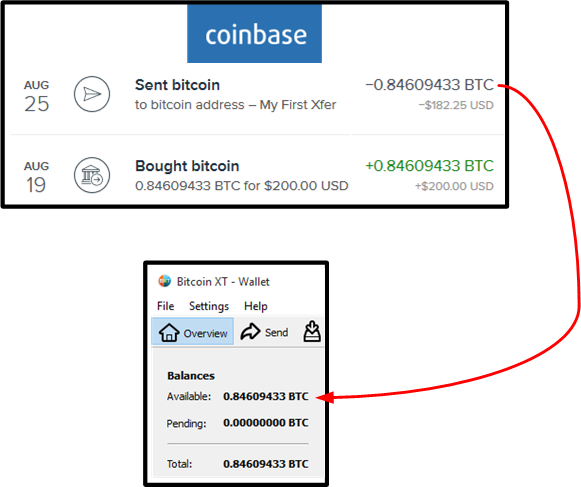 Coinbase.com made their money off of me by charging a 1% fee when I initially exchanged my USD for BTC. In addition, they paid the minisicule transaction fee that keeps the bitcoin network humming along with the thousands of co-operating “miner” computers that implement, verify, and confirm transactions. Like many people who trust private banks to store their cash, many people trust middleman sites like (highly regarded) coinbase.com to store their bitcoin. However, because of the Mt. Gox fiasco and the current lack of regulation in the brave new bitcoin world, I’ve chosen to cut out the middleman and keep my BTC locally – and offline. Imagine that I was a migrant worker and I wanted to send some money home to my family in my country of origin. 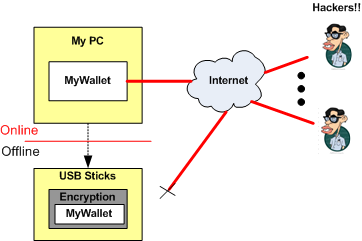 As long as my family had access to the internet, I would be able to instantly send them some bitcoin exactly like I transferred bitcoin between my wallets: direct, instantaneous, peer-to-peer, and without any middleman or accompanying fees.